Since I joined Neilson Financial Services, I was looking after customer experience design for both digital & enterprise platform. In May 2017, business wanted to introduce a new product for one of our brand and as a UX designer it was my responsibility to devise a clean, elegant UX model for the whole system. Neilson Financial Services is a global specialist provider of Direct Life Insurance. Neilson provides a comprehensive range of straightforward life insurance products directly to consumers through a number of retail brands in both the US and UK markets. To design user experience for a new product that will be launched under the Neilson Retail Brands. The new product will impact the digital platform and will have a journey flow change at the enterprise level that means a “one size fits all” design approach won’t work. The challenge was to create a “highly customizable and modular” strategy to address this. It is important to understand that a UX strategy has two different flavors, driven by different business goals, visions and environments. It is the high-level plan to achieve one or more business goals under conditions of uncertainty. The purpose of any strategy is to create a game plan that looks at your current position and then helps you get to where you actually want to be. Your strategy should play to your strengths and be mindful of your weaknesses. A solid strategy is the difference between success and failure. The biggest differentiator from designing consumer products is that the buyer is not the user. Enterprise solution requires heavily managed sales process. When dealing with financial service the complexity level is very high and even few tweaks in the journey results into errors and edge cases. To avoid that, all the touch points in the journey were considered in the early stage which helped in reconstructing the journey with the new features in a far better, simplified & easier model. Enterprise UX requires more investigative conversations with stakeholders and users (sales agents) alike. These users inhabit, inside these systems all day to get their jobs done! And they usually see only one small part of it (maybe just 3–5 screens), but as a designer it was important to devise a clean, elegant UX model for the whole system. By understanding all the touch points, it was clear what was the ‘impact area’. After the brainstorming session we identified different scenarios which could lead to our desired solution. Evaluating these scenarios individually we were able to determine their strengths and weaknesses relative to those of our product. The situations in an enterprise are very complex. People from different departments and of different levels have different needs. Compared with the customer-facing products, there are more restrictions and challenges in the UX design of enterprise products. Enterprise products are auxiliary to the development of an enterprise. A good EUX design will help the enterprise to achieve its business goals and increase the return on investment. A customer journey map tells the story of the customer's experience: from initial contact, through the process of engagement and into a long-term relationship. 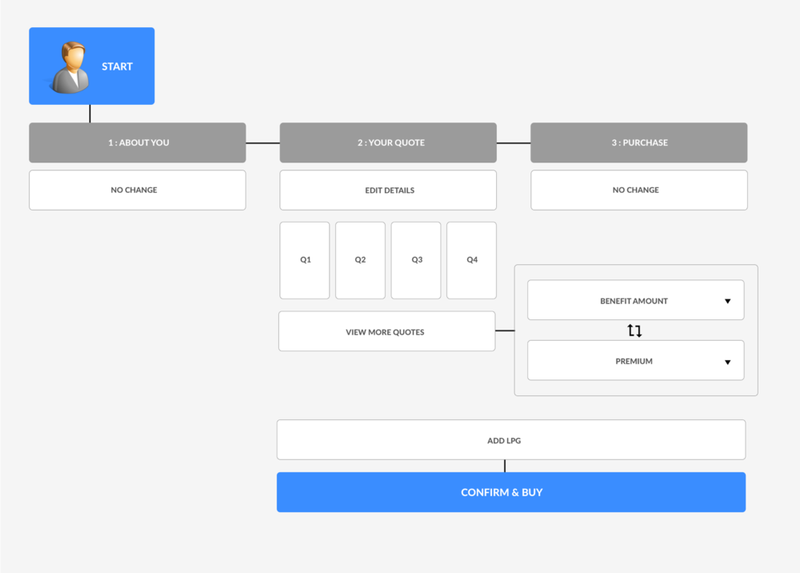 In this example the focus is on get a quote user journey with the new product addition. The internet has fathered numerous sophisticated innovations over the years: Amazon for the book industry, Netflix in the entertainment industry, Coursera.org for education, among others. Now, the internet and the financial industry have merged to create Fin-tech. The financial industry has taken a turn for the ‘better’ with the introduction of some revolutionary fintech products. Speed : Slow loading times are to be avoided. No forced registration : This is really unavoidable for insurance products, as providers need to know details of who they're covering. Security reassurances : Trust marks help to reassure customers who might be wary of buying online. Easy form filling : This is particularly important for insurance companies, as customers have to enter a lot of personal information. Progress indicators : Customers need to know how many more stages they have left otherwise they may get bored and drop out. Persistent basket summary : Remind users of the contents of their baskets and the total cost of the order so they don't have to leave the checkout for this information. Remove distractions : The checkout should be enclosed so that users can't be distracted and click elsewhere. Insurance can be confusing but the process of buying doesn’t have to be complicated or cluttered! There has been a surge in digital banking services all of which are now offering similar features. This means that features alone are not enough to engage and retain customers in this highly competitive and flexible fintech industry. Providing the right experience, to the right customers, at the right place and time, is what sets apart a successful fintech user experience from an average one. In addition to the digital banking sector, other savvy fintech companies, such as trading platforms, risk management or payment platforms, are giving their customers and prospective clients compelling reasons to trust them by creating a design that turns their product into a holistic financial approach to each digital consumer. This approach ultimately provides an enhanced user experience, which further cements the relationship between the consumer and online financial technology company. 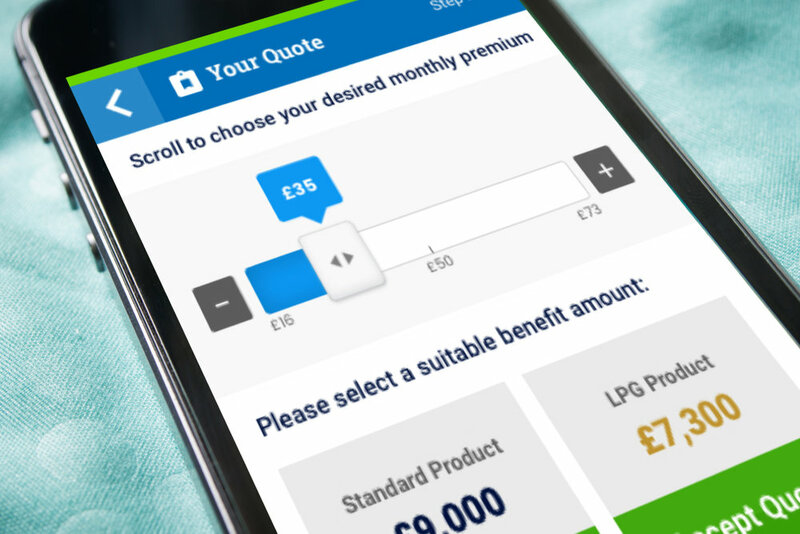 In the ever increasing competitive world of insurance, where there is little or no differentiation between one provider and another, a key area where insurance companies can increase market share is by making quote and application process as intuitive as possible. Copyright of Aishwarya Karve - © ARK Design Studios Limited 2018. All rights reserved.